Hi, I’m using Maya 6.0 Unlimited. I have a problem with subdiv surface. First, I creat a subdiv cylinder. Then I delete the top and bottom set of faces. The problem is when I change from standard to polygon mode, my surface loses its subdivision along the height and width. Can any one know how to fix the problem? Thanks in advance. I’ve been looking for a while now and I can’t find the answer to my problem, and time is a bit of an issue. So if anyone could help me it would be much appreciated. Basically, when I move around in perspective vies my image planes disappear. When I move around in orphographic view they just blur. To quickly and easily render smooth wireframes using mental ray. // Error: The operation completed successfully. after these messeges Maya 8 isn’t loading and i`m stuck with these errors. Anyone have an idea what should i do ? When i playblast it, there is an error:invalid compression type with the option ticked movieplayer. It works with image viewer though. How can it be solved such that it can be played with movieplayer? Im just wondering why this section is called “Autodesk Maya”??? Q: When I apply Maya’s fur to my well unwrapped character I get some bald spots around the areas where the UV’s are quite dense (eg. eyes, fingers, ears). How can I get an equally spaced fur over my whole caracter? Is there a folder that I can delete in order to reset my preferences? May not be what you’re looking for, but in my experience its better to just produce a playblast frame sequence and then watch them in fcheck. I’m sure I’m just not using the movieplayer function right, but in my experience (and the experience of my cohorts) movieplayer just seems to not work very often or produces crappy results. Autodesk bought out Alias and now owns the rights to Maya. So, Autodesk Maya it is. 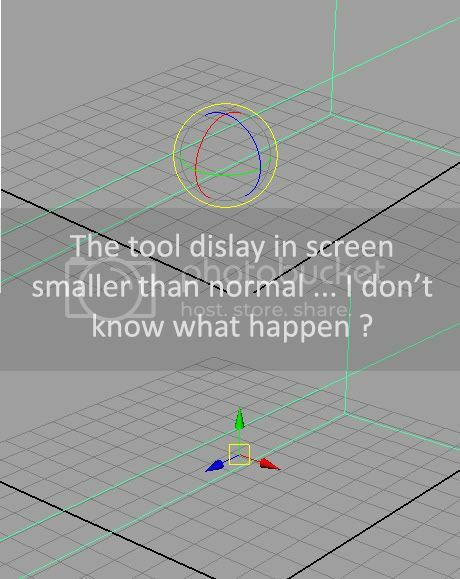 what r the computer specifications needed for the smooth working of maya? You can change the size of the handle with + and - from the num-block. I’ve got… choose in set defaut in Preferences, and now when I create a new poly or Nurbs, I can’t find the Inputs in Channel Box. perhaps it has something to do with the interactive creation which is turned on by default.